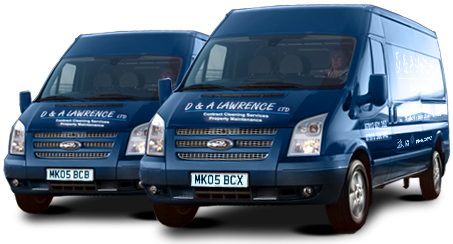 D & A Lawrence Ltd is a family run business founded in 1964 who provide cleaning services in Edinburgh, throughout Scotland and Northern England. The cleaning business, originally set up by their grandfather, is now run by Darren and Alan Lawrence. We are proud to still work with several of our original clients. Since taking over the business in 1994, Darren and Alan have grown and strengthened their customer base with clients located in Edinburgh, Glasgow, Aberdeen and throughout Scotland. Their cleaning services in Edinburgh are not only highly regarded but have also set a standard that is unmatched by competitors. I would like to confirm that Eastern Holdings Ltd has dealt with D & A Lawrence Ltd for over 10 years. We have used their window cleaning services for that whole period on all our sites and in more recent years they have also cleaned the outside cladding of our buildings and undertaken roof/gutter cleaning. Also on a number of occasions, they have provided general showroom cleaning and the final ‘builders cleans’ on major build projects (new showrooms) and minor refurbishment work. We have always found they provide an excellent service and the final product is of a very high standard. They are also very flexible, fitting in with our timescales and other contractors. I can confidently recommend them as a solid and reliable contractor. Having a long established business partnership with Lotus, the company is called on regularly to assist with projects. The management and staff offer a professional and friendly service, completing a variety of cleaning services including office and industrial, window/gutters, pressure washing and carpet cleaning with great results every time. We have always found the company to be responsible and trustworthy and endeavour to continue our collaboration. Space Solutions have been using D & A Lawrence for a number of years on our Contract Commercial projects on an ongoing basis. 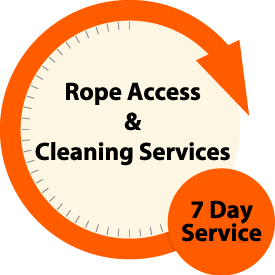 They can be praised for their superior cleaning, attentional to detail, consistency, excellent customer service, professionalism and their dedication to providing high-quality service. D & A Lawrence have been contracted by the Federation for Industry Sector Skills and Standards as contract cleaners in our offices at 101 George Street, since September 2016. In that time I have found them to provide an extremely professional service to a high standard. They are always on time, well presented and polite. I would highly recommend them to any business. With over 30 years of experience offering professional cleaning throughout Scotland, D & A Lawrence Ltd has established itself as a company you can trust. We treat every client with the same respect and attitude they deserve, no matter the size of the job at hand. We offer speed, efficiency, reliability and professionalism in all our work using only qualified operatives and using only the best cleaning equipment. Every cleaning or rope access task is unique. We are always happy to visit your premises in Edinburgh to evaluate exactly what needs doing and develop a program tailored to meet your specific cleaning requirements.